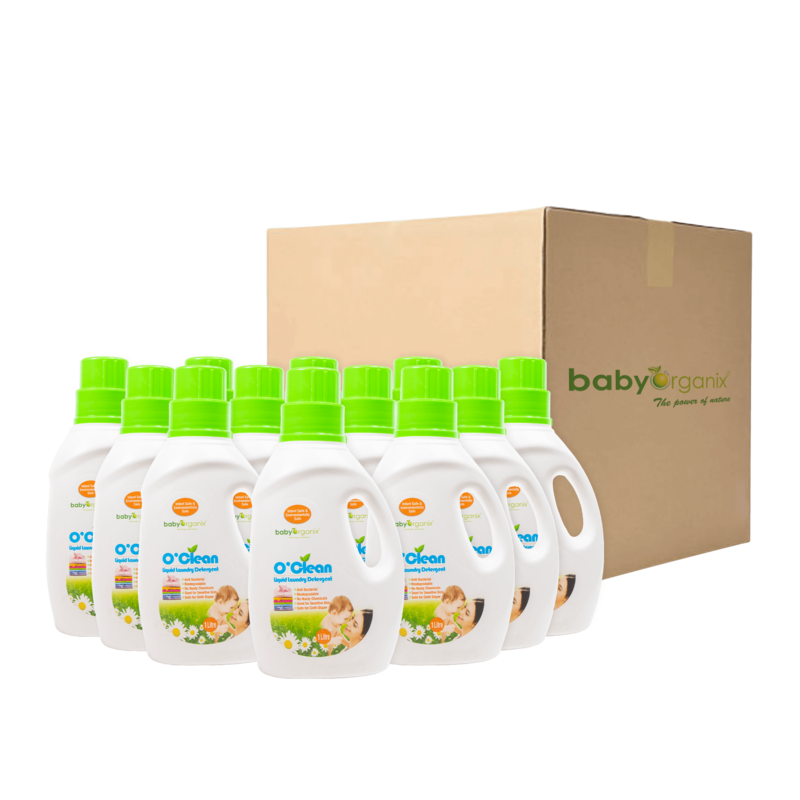 BabyOrganix's Member can earn 228 Points! Collected point can use to redeem BabyOrganix Product!! 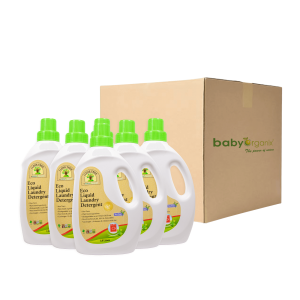 BabyOrganix O’ Clean Liquid Laundry Detergent is carefully formulated with Zero “0” harmful ingredients. We believe it is important to reduce your exposure to potentially unhealthy chemicals such as Optical Brighteners, Phosphate, Chlorine Bleach, Enzymes, Dye and Formaldehyde Super-concentrated and low suds formulation perfect for all machines. Easy rinse formulation to prevent redepositing of stains & dirt during wash.
Free from dye, enzymes, phosphate & optical brighteners and all nasty chemical. Natural based ingredients, easily biodegradable, safer for your home and our patient. Environmental friendly formulation good for people with sensitive skin. Suitable for baby clothes and even your delicate. Put the liquid directly onto the stained one, then proceed with the normal washing cycle.